If you’re considering entering your business-to-business market with an ecommerce website, there are a number of key areas to consider. As a long-established web design agency with our fair share of business-to-business ecommerce experience, here’s our introductory guide to B2B ecommerce. There are many ecommerce platforms available to businesses entering the ecommerce arena, but they are not all made equal. Peacock Carter work a lot with Magento Commerce and its licensed sister version, Magento Enterprise. Both can be readily adapted for use as a business-to-business ecommerce system. Oro Commerce is also worth consideration as an open source ecommerce platform specifically aimed at the B2B market. You may also want to consider services such as Shopify (a hosted ecommerce platform with a monthly fee) though we find these are not typically suited well to B2B use. WooCommerce, WordPress’ most popular ecommerce offering, is also available, though we find this platform lacks many of the features of more developed ecommerce offerings such as Magento. Finding the right B2B agency for your organisation is also key: it could well be a long partnership, so finding a web design agency who have the right approach. Sector experience isn’t necessarily key if the agency has the right technical approaches and the ability to research and adapt to your industry. As with “offline” business, niche offerings can greatly enhance your appeal and selling power to customers in ecommerce. If you’re looking to test the water in your B2B sector, selecting a small product range to launch with and test the water can be a good way to mitigate some of the risk. In particular, large product catalogues can take a great deal of time and money to digitise, as content designed for offline brochures and marketing collateral often doesn’t translate well for online use. Once you have the formula for success with the initial range of products, you can try enlarging your product catalogue online. A key point missed by many entering the B2B ecommerce market is integrating existing business systems with your ecommerce systems. For example, if you’re using a CRM such as Salesforce in your other sales operations, integrate Salesforce in to your ecommerce store. Most popular ecommerce platforms have significantly well developed integrations with common accountancy packages such as Xero and Sage, too, and platforms such as Brightpearl can be used to centralise stock control between multiple warehouses, amongst other tasks. 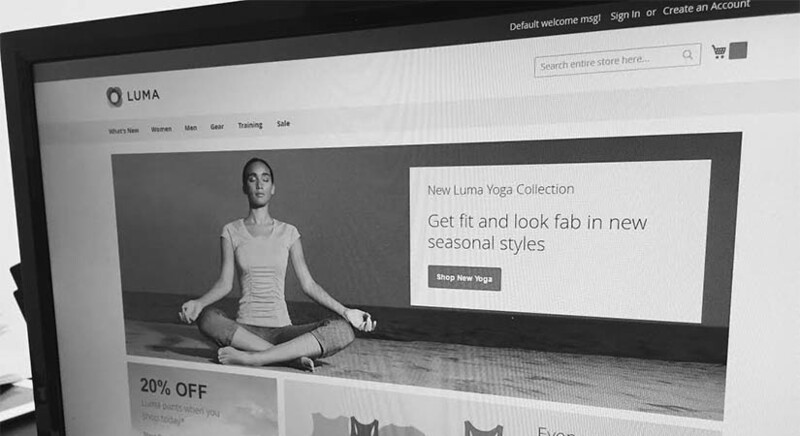 Integrating your ecommerce website with existing processes not only saves you time and reduces errors and redundant data, but can streamline your processes and provide your customers with a smoother experience all round, too. It’s worth considering that the type of customer who you interact with in offline and other sales channels may not be your typical ecommerce customer. For example, whilst you may deal with CEOs, procurement officers and managing directors through offline sales channels, your online sales channel may attract a different role from within the company. This is partly because a B2B ecommerce offering allows the task of purchasing to be delegated to another department within the customer’s company, even for larger purchases such as specialist equipment and machinery. As such, ensuring that any technical specification and industry jargon used is likely to be known by the audience is key. Businesses can be reluctant to share information with their customers online for fear of revealing too much to competitors. Whilst this is understandable in a competitive industry, not providing your customers with the information they need to make a purchase decision could well cause your entry in to B2B ecommerce to fail before your website has even launched. Sharing carefully selected insights in to your industry in the form of blog posts can be a great tactic for digital marketing, establishing your company as the industry leader. If you would like to discuss your next B2B ecommerce project with Peacock Carter, please contact us for an initial consultation.